Yes! 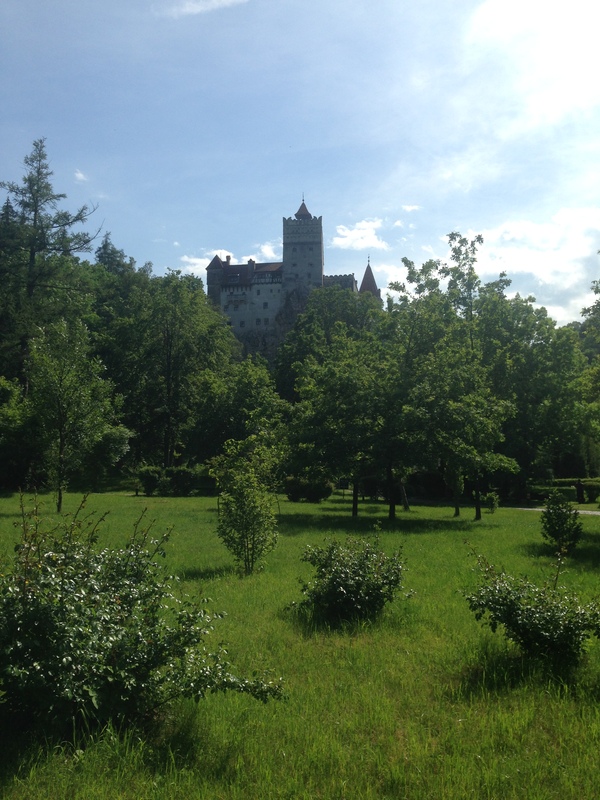 We went and saw the castle that inspired the story of Dracula. 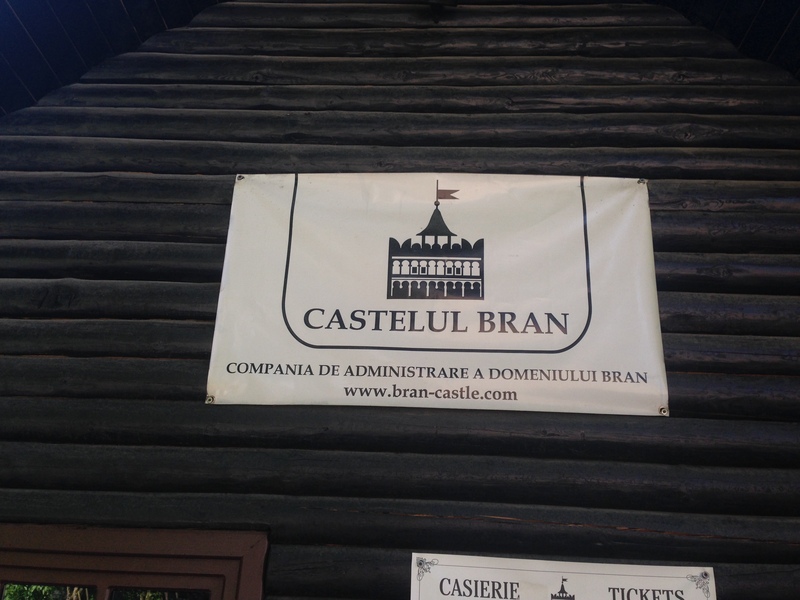 It’s called Bran Castle and it’s in Romania. At some point on our journey we started to realize that a year just wasn’t long enough to see it all. Much like our traveling around the US, it just takes too long to see everything there is to see. You have to prioritize. But when faced with so many things to see, foods to eat, historical sights to experience, how in the world do you choose? We decided to base our decisions on the stories the kids will get to tell. Every time we are faced with a new choice of locations, we ask which one will make the best story. 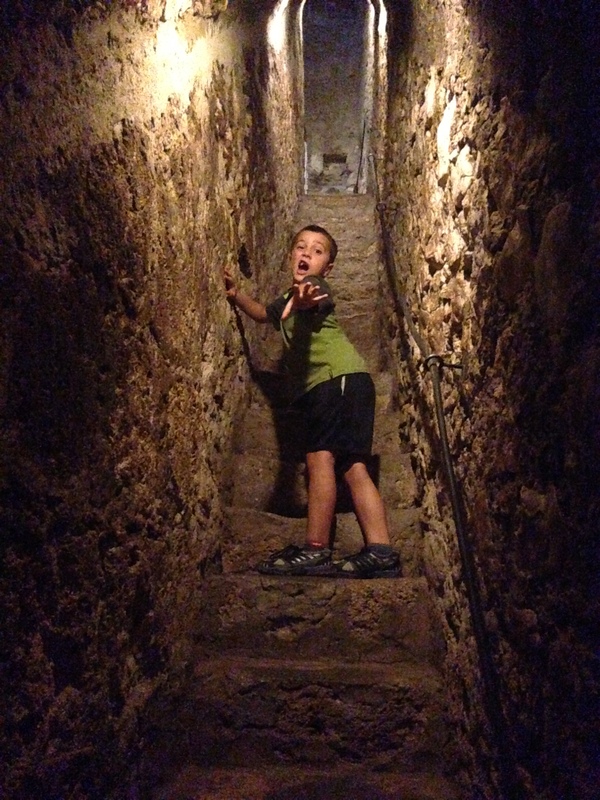 Dracula’s castle was a no brainer! 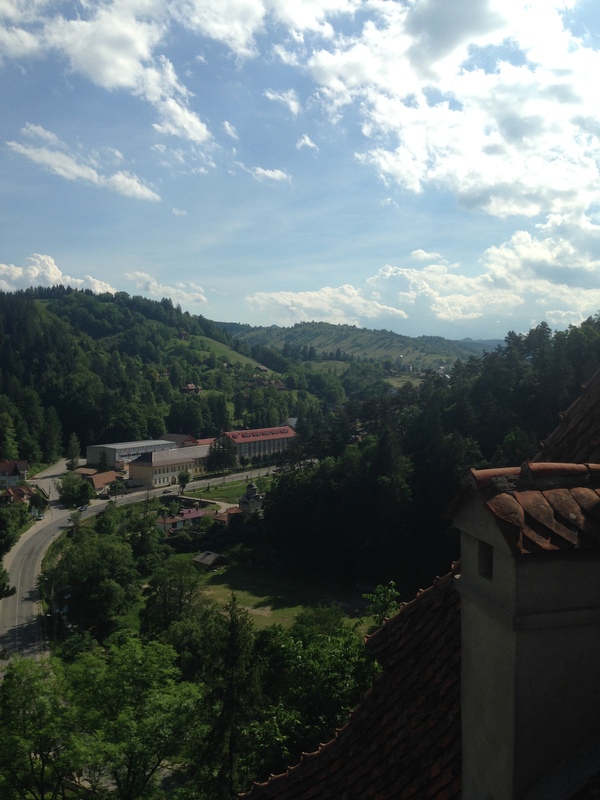 Bran Castle was used by Vlad Tepes (Vlad the Impaler) during his excursions into Romania. 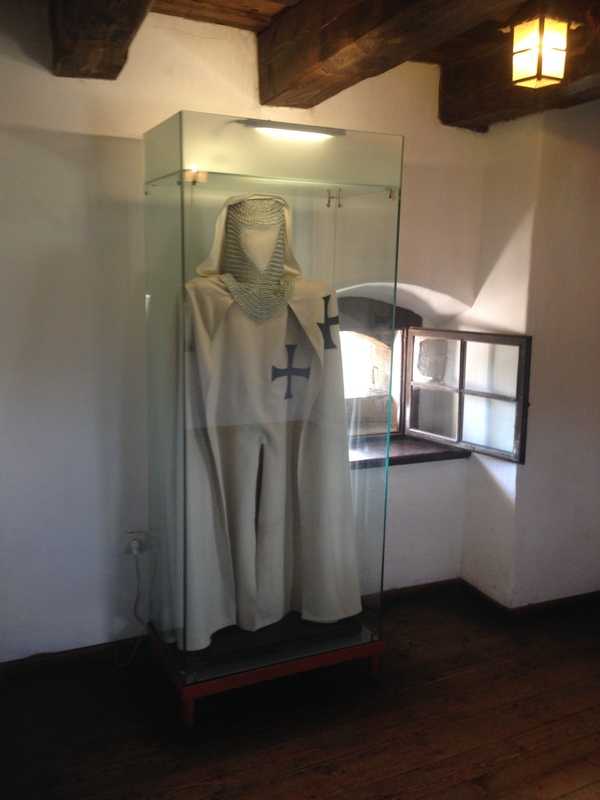 He actually had little to do with the castle during its long history, but it’s the story that has carried the most weight (probably due to the connection to Dracula). 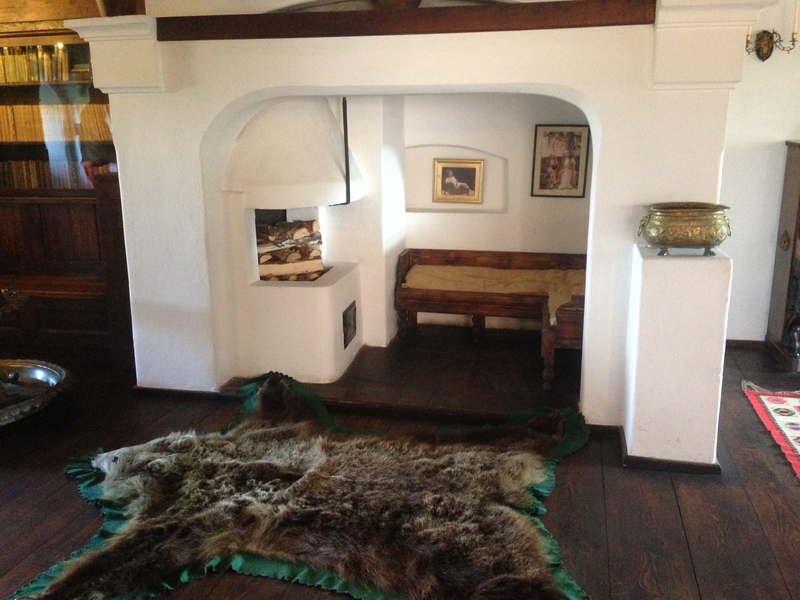 If you’re interested in reading more about the history of the castle and Vlad the Impaler, you can do so here. 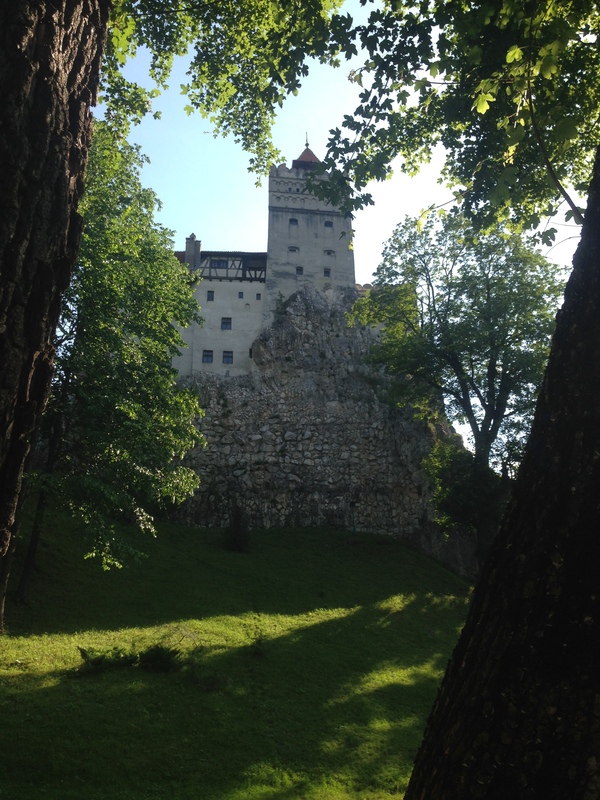 At the base of the castle is a wide array of typical touristy shops selling everything Dracula. After you navigate the maze of shops you can gain entry to the castle grounds and begin your walk up to the top of the cliff where the castle sits. You can go inside and meander around looking into various rooms and reading the description of the items in the castle, finding secret staircases, and looking at the relics. 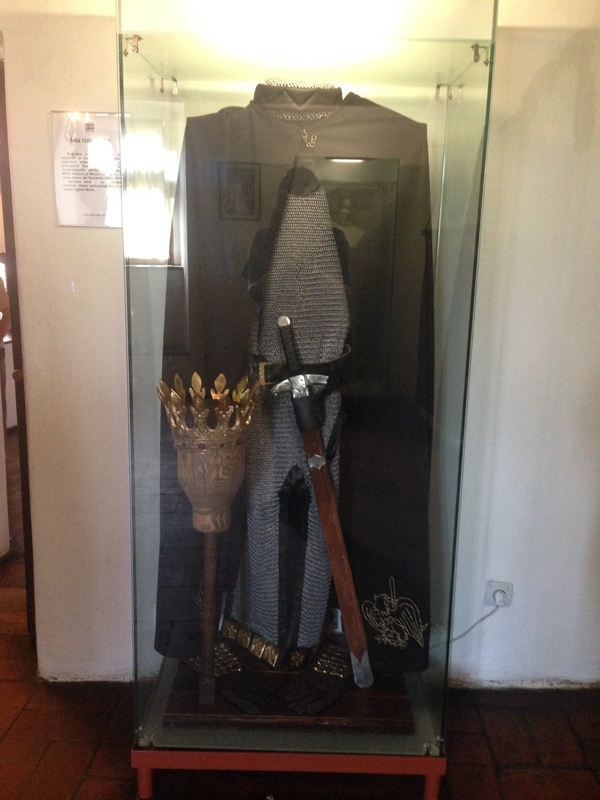 This is what the Order of Teutonic Knights wore during the reign of Vlad the Impaler. After touring the inside of the castle we walked around the grounds and took a great picture of the castle. We let the kids check out the market and the girls wound up getting a keepsake. Annalea found some nesting dolls she really liked and Grace ended up with a secret box where you have to solve the puzzle to find the key to open it.